A cute stitchery cushion PATTERN from Two Blonde Mice. 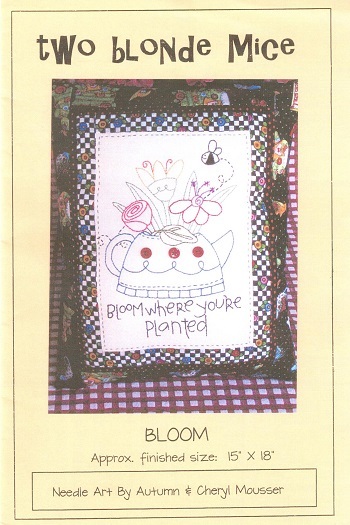 The stitchery is a teapot full of pretty flowers, trimmed with buttons, with a bee flying around. The wording is - Bloom where you're planted. Finished size - 15" x 18"